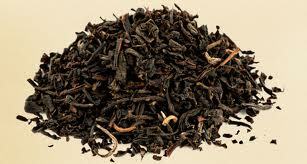 English breakfast tea is a traditional blend of teas originating from Assam, Ceylon and Kenya. It is one of the most popular blended teas and the most common form of British tea culture. 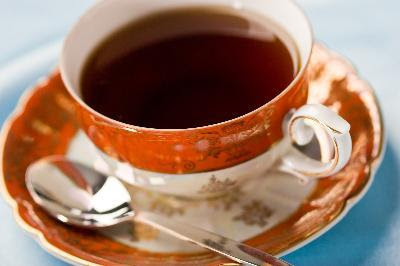 It was initially known simply as Breakfast Tea, and was popularised by Queen Victoria. English breakfast tea is a black tea blend usually described as full-bodied, robust, and or rich, and blended to go well with milk and sugar, in a style traditionally associated with a hearty English breakfast. The black teas included in the blend vary, with Assam, Ceylon and Kenyan teas predominating, and Keemun sometimes included in more expensive blends. The name "English breakfast" can be misleading to British nationals staying in North America, since many of the most popular brands of English tea bags (including Tetley, PG Tips and Yorkshire Tea) do not contain fermented teas (like Pouchong) and are more often a mixture of Indian or African leaves (often tips) that might be labelled as "Orange Pekoe" in North America.